Jim Clemmer, CEO of AngioDynamics, talks about the changes and growth plan at his company during the EDC Warren County annual luncheon last month at the Great Escape Lodge. The relatively new president and CEO of AngioDynamics, the medical device manufacturer with operations in Glens Falls and Queensbury, said when he took the reins for the company last year, he saw there was a need for some changes to be made if the company was to continue to compete in the hyper-competitive field it operates in. 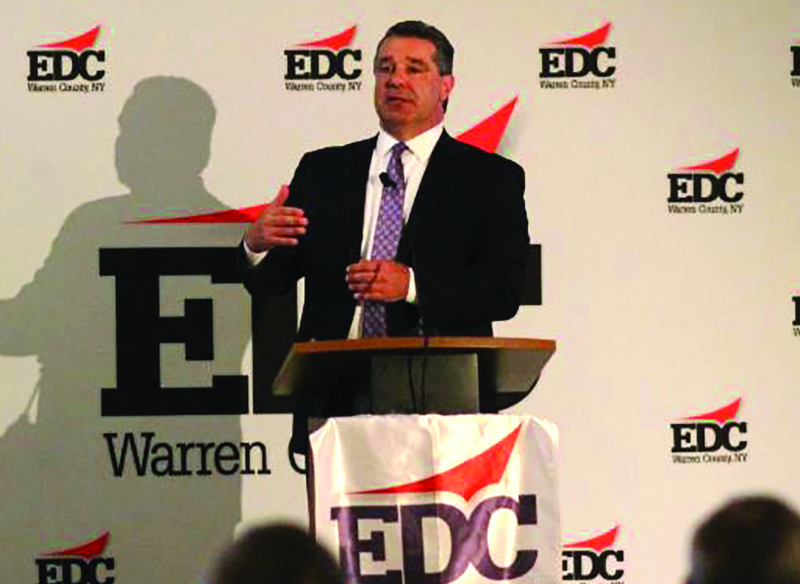 But Jim Clemmer did recognize the company has strong core values and a great knowledge base within the company, he told the audience gathered at the annual luncheon of EDC Warren County on June 27 the at Great Escape Lodge. “I’m proud of the quality of the people in our plant,” he said. But he is challenging his work force to be more innovative and efficient. He said when the federal Affordable Care Act came into being “it woke up the industry” because it brought many more patients into the health care system. This is a rendering of the new sign for Cool Insuring Arena. The Queensbury company entered into a five-year sponsorship agreement to rebrand the Glens Falls Civic Center. 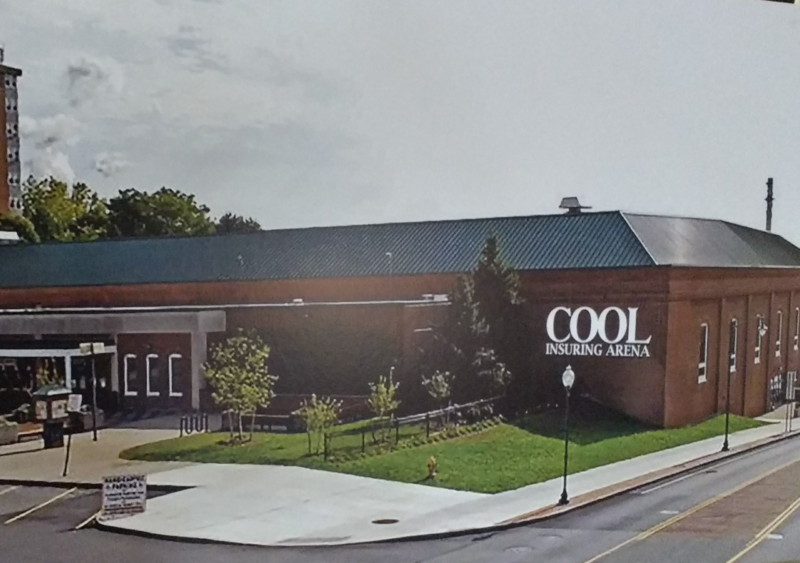 The Adirondack Civic Center Coalition announced on July 12 that it has entered into a five-year agreement with Cool Insuring Agency to rebrand the Glens Falls Civic Center as Cool Insuring Arena, effective immediately. Cool Insuring Agency, based in Queensbury, becomes the first sponsor of the downtown arena since its inception in 1979. The five-year agreement keeps the agency as the official sponsor of the arena through 2022. The naming rights deal marks the next step as the Adirondack Civic Center Coalition and Adirondack Thunder hockey team approach the 2017-18 season. “From day one in 1979, we have been a season ticket holder and dasher board advertiser at the Civic Center,” Cool Insuring Agency Vice President Jack Bieniek said. “We are acutely aware of the benefits of what a viable and catalytic entertainment venue means to our hometown community and its local businesses. A woman samples wine at the Adirondack Wine & Food Festival held in late June. 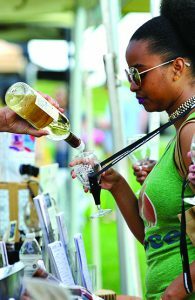 The third annual Adirondack Wine & Food Festival held in June at Charles R. Wood Festival Commons in Lake George was the best attended thus far, organizers said. Officials said nearly 6,000 tickets were purchased. In 2016, the festival sold about 5,200 tickets and 5,000 people attended, she said. “We are particularly proud of this achievement, as our 2016 Festival was designated as an official Taste New York Event and we received a $65,000 grant from Gov. Cuomo’s New York Craft Beverage Initiative, on top of some local funding, to help promote the festival,” Pardy said. The vendor list included 24 wineries, four breweries, eight distilleries, three cideries, 26 artisan food vendors, nine food trucks, one local restaurant, six specialty vendors, some sponsor booths, and a weekend full of culinary demonstrations provided by the SUNY Adirondack culinary students. 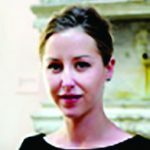 Erin B. Coe is leaving the Hyde Museum to take a position at Penn State University. 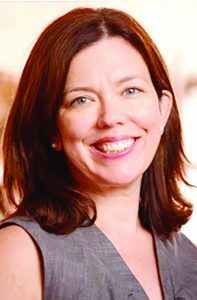 The Hyde Collection Board of Trustees announced that Erin B. Coe will leave the position of museum director this summer to accept a position as director of the Palmer Museum of Art at Penn State University. A national search will be conducted for a new director, said Karl Seitz, chairman of the Hyde board of trustees. Coe will leave the Hyde in late July. The board also announced that Anne Saile, an accomplished nonprofit CEO and founder of the Saile Group LLC, a business development and leadership consulting firm, has been named interim director. Saile is the former president of Bellevue Woman’s Center in Schenectady. 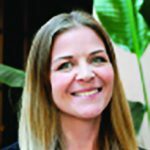 She has served on numerous boards and blue ribbon panels, is founding chair of the [email protected] Executive Advisory Board for Hearst, immediate past president of the board of directors of the Center for Women in Government and Civil Society and founding member of the Forum for Executive Women. “This is a bittersweet moment for The Hyde,” Seitz said. “We are delighted to see Erin take the next big step in what is already a brilliant career. Her leadership of the Hyde, particularly the establishment of the new Feibes & Schmitt Gallery for Modern and Contemporary art, has been extraordinary. Coe helped the Hyde secure one of the largest gifts in its history, $11 million in modern art and cash from Schenectady architect Werner Feibes and his late partner, James Schmitt. She then led a successful campaign to raise $500,000 more in private contributions and foundation support to expand the museum and build a new gallery to showcase modern art, the first new exhibition space at the Hyde in more than 28 years. The Hyde Collection announced the promotion of three staff members, Colette Broestler, Kayla Ditlefsen and Keri Dudek. 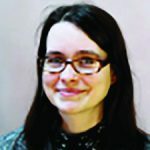 Broestler, who has served as administrative assistant for the past two years, is the new external affairs associate. In this role, she will manage the museum’s donor database system and support department activities including membership, cultivation, and special events. Working under Director of External Affairs Tawn Malison, Broestler will provide support for development goals and marketing strategies. Ditlefsen was hired as administrative assistant after a year as visitor services associate. She will provide general office support, including monitoring and maintaining the phone system, and will lead the visitor services staff. Dudek has worked as part-time educator since October. She moved into a full-time position beginning July 10. Dudek works with museum educator Jenny Hutchinson to develop curriculum for the Hyde’s educational programs, and leads children’s activities including Tours for Tots, ARTfull Afternoons, and workshops. 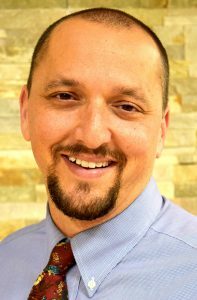 Silver Bay YMCA announced that Nick Rama will join its team as development director, starting July 31. In this role, Rama will take charge of the development activities at Silver Bay YMCA, which funds the organization’s many free outreach programs such as the Ticonderoga Teen Center, Cancer Respite program, Clergy Respite program and Military R&R program. Rama worked for the last several years as the senior development officer at SUNY New Paltz. Prior to that, he spent 18 years at the Culinary Institute of America in several roles, including senior director of annual giving and significant giving, senior director of advancement operations and associate director of corporate relations. Saratoga Sundress, a trendy boutique featuring tops, tunics, skirts, rompers and cocktail dresses for women, is a new shop on Warren Street in Glens Falls. 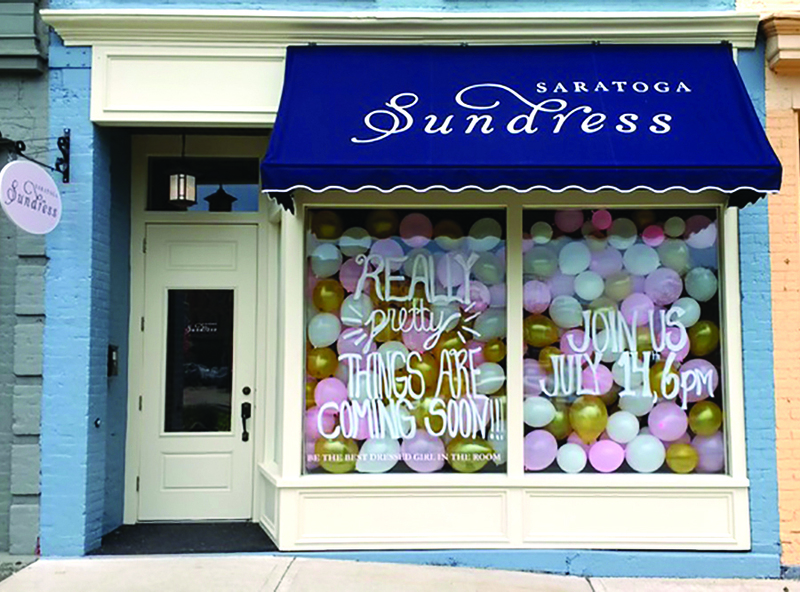 Fans of Saratoga Sundress can now enjoy the trendy boutique a little further up the Northway. The company’s fifth location opens July 14 in Glens Falls at 10 Warren St.
Jessica Hoesel, a manager for the company, said the Glens Falls store will operate under the belief that when a women enters a room, she should feel confident and special. Hoesel said unlike chain and department stores, they choose each piece very carefully and make sure they carry each article of clothing in three sizes, hoping their customers will own something that is unique to them. “We want our customers to always be the best dressed girl in the room,” said Hoesel. The Glens Falls store will stay in line with the fashions of the other locations, including their signature sundresses. The store has much more than just sundresses, said Hoesel. It carries a variety of tops, tunics, skirts, rompers, and cocktail dresses. For the colder months they carry coats and sweaters. They also carry accessories year round. Amy Stumvoll has been making pizza since she was 18 years old. Working her way up to manager at a pizzeria, she started thinking of what it would be like to own her own place. Originally from central New York, she worked and managed pizzerias in that area for 15 years. Then she worked for Caputo’s Pizzeria in Saratoga Springs for another nine years. When the opportunity came to take the next step and run her own business, she believed the time was right. Her Fort Edward pizza place, Stumpy’s Pizza is located at 165 Broadway, will open after renovations are complete. Stumvoll named the business after a fictional moose character, based on her husband’s childhood nickname. “I wanted something fun and memorable and Stumpy’s fit the bill perfectly,” she said. For Stumvoll, Stumpy’s will not be just another pizza place. The dedication she has to the industry will be reflected in the food and atmosphere of the restaurant. “Pizza has been my passion since I picked up my first dough ball. I truly love everything about this industry, from the constant movement, to the staff, to the relationships that are formed with customers,” she said. From left, George Scala and Kristen Vanderwarker, both of ICC Management and Consulting, Ross Pancoe of the 504 Company and Bernard J. Paprocki of the SBA at the association’s awards event. 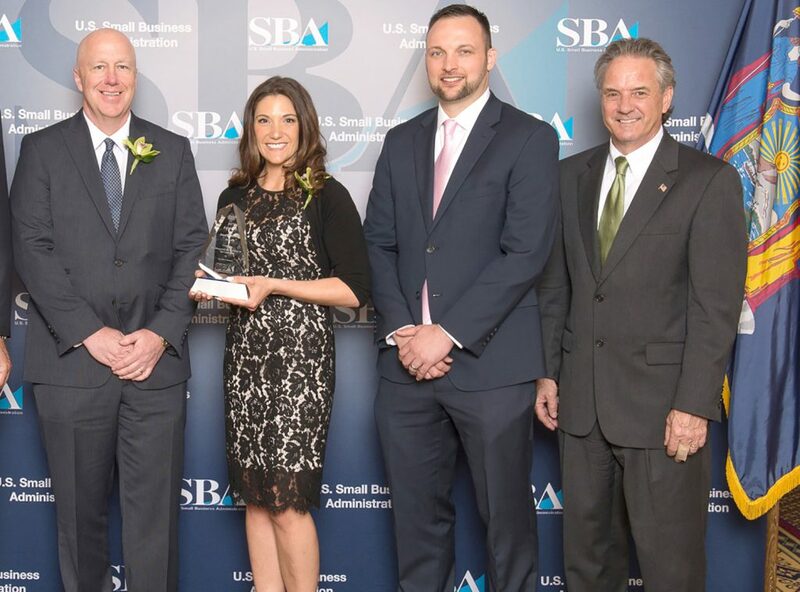 Two area small businesses were recognized during National Small Business Week at the U.S. Small Business Administration’s 19th annual Small Business Excellence Awards luncheon in Albany in May. Glens Falls National Bank & Trust Co. honored the Bullpen Tavern based in Glens Falls with a the Small Business Excellence Award. The tavern, a downtown Glens Falls sports bar and restaurant, was started by four high school friends, Paul Bricoccoli, Jr., Scott Endieveri, David Krogmann, Jr., and Jason Krogmann. In 2013, a fire in an upstairs apartment burned the interior. The partners undertook a complete renovation and re-opened nine months later with a new look. The new Bullpen Tavern also has a second-floor banquet space for 100 guests and two third-floor apartments. Benjamin Katz was named chief medical officer at Glens Falls Hospital. 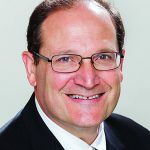 Glens Falls Hospital announced that Dr. Benjamin Katz of Saratoga Springs was named vice president of medical affairs and chief medical officer. The hospital also announced that Patti Hammond of Ray Brook was named vice president of physician practice management. Katz succeeded retiring CMO Dr. Robert Pringle effective July 3. Katz was previously the associate CMO. Pringle will remain at the hospital as an internal physician consultant through Dec. 1. “We are incredibly fortunate to have Ben on our team and have witnessed his outstanding dedication and passion for his work. His vision and commitment to high quality patient-centered care will be a tremendous asset to Glens Falls Hospital as we continue to grow and expand our services,” said Dianne Shugrue, president and CEO of Glens Falls Hospital. In addition to his role as associate chief medical officer, Katz also served as associate medical director of the Emergency Department at the hospital. Previously, he worked in the Emergency Department at Albany Medical Center as associate residency director and director of quality assurance. 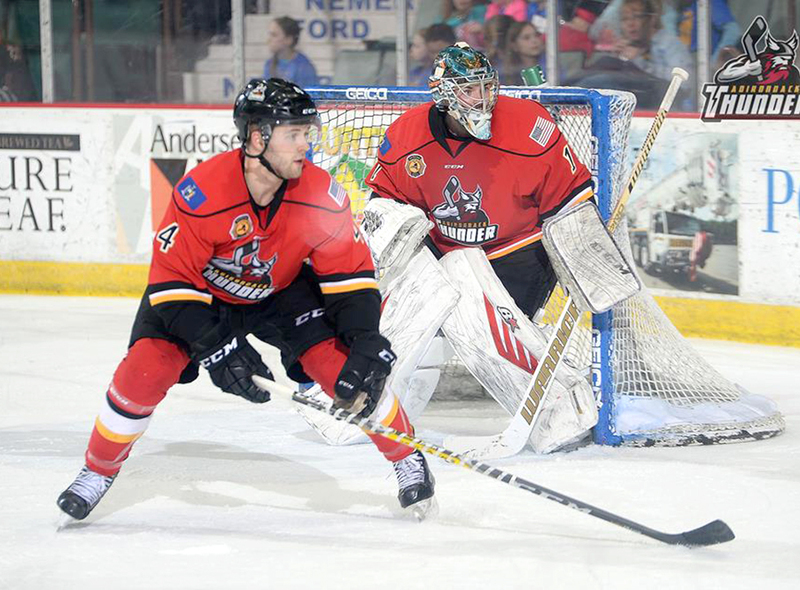 The Adirondack Thunder home 2017-18 regular season, which consists of 36 home games, will begin on Saturday, Oct. 14, at the Glens Falls Civic Center. The Adirondack Thunder hockey team has released its regular season schedule for the 2017-18 ECHL season, their third as a member of the ECHL. The home schedule, which consists of 36 home games, will begin on Saturday, Oct. 14, as the Thunder take on the Brampton Beast at the Glens Falls Civic Center at 7 p.m., the first time that the Thunder have opened the regular season at home. The 2017-18 home schedule will conclude on Friday, April 6, as the Thunder take on the Manchester Monarchs in a rematch of both the 2015 and 2016 Kelly Cup Playoffs. The Thunder’s home schedule is highlighted by 13 Saturday home games and 12 Friday home dates for a total of 25 games on those evenings. The schedule also contains three Sunday home games making it the most weekend heavy schedule in three seasons in the ECHL, team officials said. The 2017-18 schedule will be rounded out with two Tuesdays and six Wednesdays. All Friday and Saturday home games will begin at 7:00 p.m., with the exception of Saturday, March 17, which will begin at 3 p.m. for a St. Patrick’s Day celebration. Sunday games will begin at 3 p.m., with the exception of the annual New Year’s Eve game, which will start at 5 p.m.